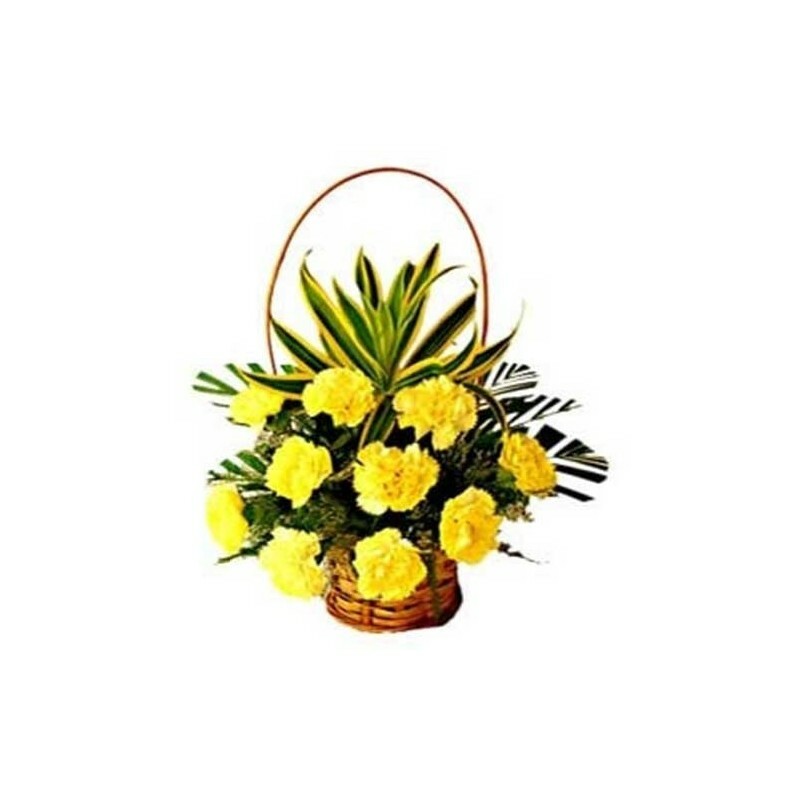 This Fresh dew of 12 Yellow Carnation in a basket will make your dears a real surprise on their special occasion. 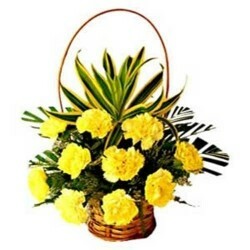 Order this basket of flowers and we Guaranteed the quality & delivery to your loved ones in Hyderabad. Nice basket!!! Everyone loved this flowers.